Greenhouse vegetable gardening is a way to have fresh veggies all year. Greenhouse vegetable gardening is becoming more popular for the home gardener. They are more affordable and come in many different sizes making them more available for all of us. The purpose of a greenhouse is to provide a more favourable growing environment. 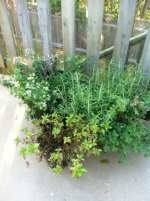 This is done by trapping heat from sunlight and keeping excess wind and rain from your plants. What is a greenhouse used for? Grow your vegetables all year round. Start your seedlings in early spring. Protect heat loving vegetables from cold and wet weather. In your Greenhouse Vegetable gardening - What to grow? Tomatoes, peppers, eggplants and cucumbers are principal summer crops for greenhouse growing. These crops do best in temperatures of up to 29 degrees Celsius during the day and down to 13-21 degrees Celsius at night. Vining crops such as tomatoes and cucumbers can easily be staked using the structure supports. Lettuce, parsley, radish, scallions and celery are great crops to grow in your greenhouse during the winter months. 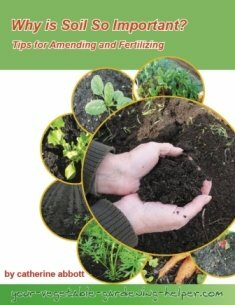 Soil preparation is very important for keeping your plants healthy and happy. Frames are usually made of metal, plastic or wood. Ventilation is an important aspect, so when purchasing or building your structure look at the options available. Some have doors that open automatically when the temperature reaches a certain amount; others can be manually opened at the sides or ends. Artificial heat may be another consideration if you want to grow in your greenhouse all year round and you live in a colder climate. Check with professionals in your area regarding your options. Greenhouses are best placed in a sunny part of your garden so they get 6 or more hours of sunlight each day. Before you spend money, make sure your area is suitable. When choosing your style and type of structure for your greenhouse vegetable gardening consider your needs and lifestyle. What do you want to grow in it? What kind of garden site do you have? How much time do you have? How much money do you want to spend? 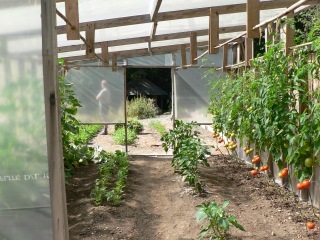 cold frames or a walk in tunnel as other options for growing plants under shelter.